RockChickenz: THE COLOR MORALE ANNOUNCES NEW ALBUM & PREMIERES NEW SONG "WALLS"
THE COLOR MORALE ANNOUNCES NEW ALBUM & PREMIERES NEW SONG "WALLS"
Rockford, IL rock band THE COLOR MORALE is excited to announce the details for new album Desolate Divine, and to premiere their new song "Walls." Set to release on August 19th, Physical and digital pre-orders for Desolate Divine are available at TheColorMorale.net, which includes an instant download of "Walls" with each pre-order. The band teamed up with Loudwire to premiere "Walls," which lead singer Garret Rapp explains, "’Walls’ is a song about keeping yourself in isolation to avoid vulnerability.” VIDEO HERE. For the Rockford, IL quintet, treading new territory has uncovered their most poetic, potent, and powerful body of work to date in their fifth studio album, Desolate Divine. 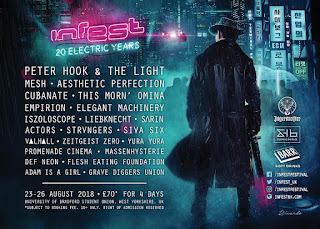 The new album captures the band's palpable aggression through expansive production, yielding to a bigger sonic backdrop, while preserving the sense of emotional vulnerability they're known for. 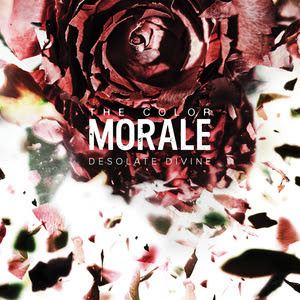 Whether you're a first-time listener or a long-time diehard, you've likely never heard The Color Morale like this before, as the band remains unflinchingly real and unashamedly ambitious in Desolate Divine.